These Eucalyptus Poles are a sustainable hardwood that offers an ecological alternative to tropical hardwoods. Versatile and strong, this beautiful timber can be used for a full range of interior and exterior applications. The wood is straight grained, durable, easy to work with and can vary in colour from white cream to light rose. Eucalyptus Poles also known as Eucalyptus Latte is a sustainable and elegant wood product. Commercially known as Latte, it is a sustainable hardwood that offers an ecological alternative to tropical hardwoods. Versatile and strong, this beautiful hardwood can be used for a full range of interior and exterior applications.The wood is straight grained, medium textured, and can vary in colour from white cream to light rose. Latte wood machines well and works well with hand tools. (rated 3 on a 6 class scale) The wood saws and planes cleanly. Screw holding and gluing properties are both very good. Glue block strength tests indicate similar strength to Mahogany. Consistent grain quality takes all finishes well. Latte can be stained or painted.Recommended maximum span distance between batten or ceiling joist is 2.0 meters.Will not split or canker when screwed or nailed. Not prone to warping due to cli- matic conditions. Latte poles are typically 25- 40mm in diameter. Larger diameter poles can be special ordered. The pole lengths we stock are 1.8m, 2.1m & 3.6m. The heartwood is durable and resistant to insects and rated to SD4 strength. Durability compares to Dark Red Meranti and Teak. Dimensional stability is similar to hard maple.Density on average is 620kg/m3. We stock both untreated & H3 treated poles. All poles have been heat treated in accordance with Australian quarantine standards. South Africa is a country with low annual rainfall, and as a result, most of the natural vegetation is non-woody with a narrow broken belt of natural forest along the southern and eastern seaboards. Due to rapid economic expansion in the late 1800’s demand for timber products placed enormous pressure on the local industry. In order to protect native indigenous forests, South African research organizations introduced and trialed various exotic forest species with much faster growth rates than indigenous species. 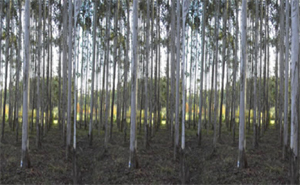 First introduced around 1885, with seeds sourced from New South Wales, Eucalyptus grandis (and locally known as Latte) has successfully become the most important hardwood for the South African forestry industry. A native of Australia and primarily found in New South Wales and South East Queensland, this magnificent eucalyptus tree was decimated by exhaustive tree felling and land clearing in it’s native habitat and is now protected, with advanced and mature trees only found in National Parks. While attempts have been made in Australia to commercialize the timber through plantations, commercial quantities and the branches that form our latte timber are difficult to procure. For this reason we source all our timber from South Africa, and by doing so protect Australia’s indigenous forests and those of South Africa, at the same time ensuring developing communities a fair trade to benefit us all. All our material is sourced from renewable FSC (Forest Stewardship Council) registered tree farms. The FSC is a world body that oversees the forestry and timber industries. The FSC ensures that all signature companies adhere to their strict legislation to protect indigenous forests around the world. Eucalyptus grandis stands out for its excellent ability to convert CO2 absorbed from the atmosphere into strong and durable timber. Because these forests are capable of producing substantially more timber per square metre, the main benefit is the possibility of suppling wood for world population requirements without damaging native forests and using far less land. 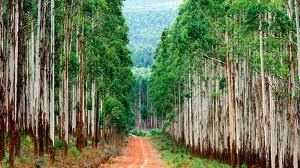 The wood from these plantations reduces the pressure of endangered trees, avoiding the indiscriminate harvesting of these species for commercial use.